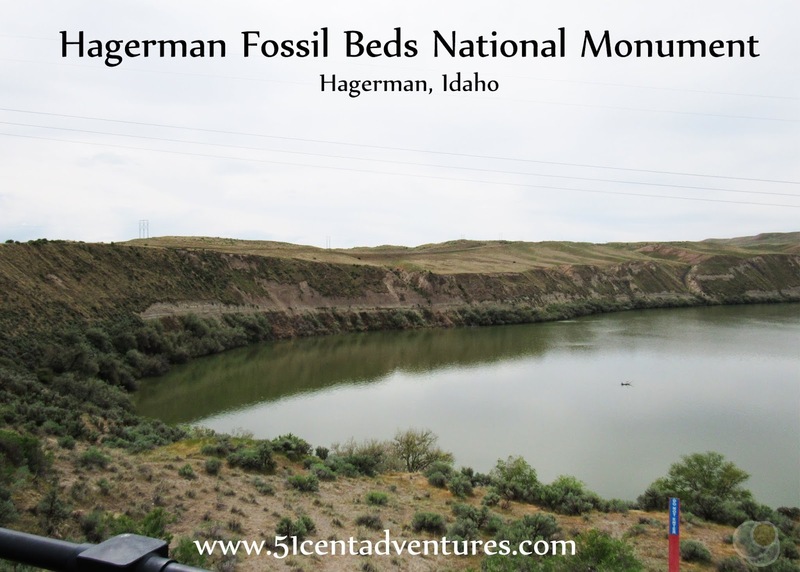 Hagerman Fossil Beds National Monument is located in Southwest Idaho about 35 miles northwest of Twin Falls. This area is home to over 200 species of plant and animal fossils. Location: The Visitor Center is located on Main Street in the middle of Hagerman, Idaho. The fossil beds themselves are located about 7 miles south of town on the southwest bank of the Snake River. Hiking Distance and Time: There aren't many trails through Hagerman Fossil Beds. This is due to the fragile nature of the fossils. There are a couple overlooks of the area. Don't plan to spend much time exploring the fossil beds. Operating Seasons and Hours: From Memorial Day to Labor Day the Visitor Center is open every day of the week from 9:00 am to 5:00 pm. During the rest of the year the Visitor Center is open Thursday through Monday from 9:00 to 5:00 excluding Federal Holidays. Hagerman Fossil Beds National Monument was the sixth stop of the first day of the Idaho Road Trip my family went on in May of 2018. We passed Ritter Island while driving north on Highway 30. And then kept going to Hagerman. 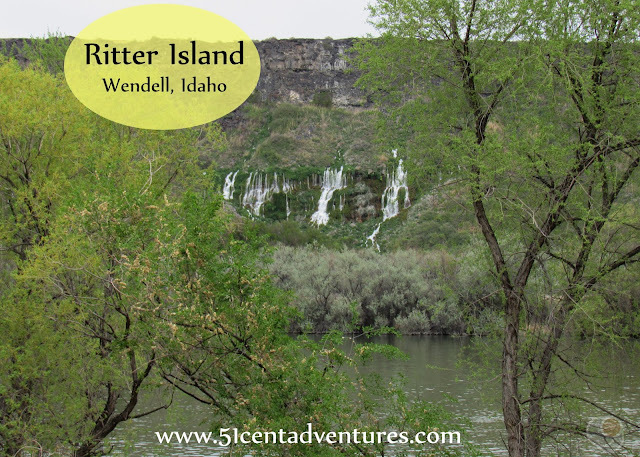 Ritter Island is an interesting feature along the shores of the Snake River west of Twin Falls, Idaho. The waters of the Snake River surrounds one side of the island. 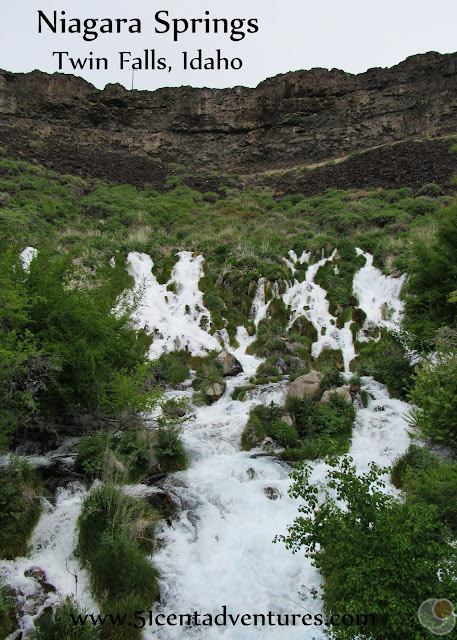 The other side of the island is surrounded by runoff from Minnie Miller Spring - one of the many natural springs along this section of the Snake River. The island and some of the surrounding shoreline is part of Thousand Springs State Park. Location: Located about 5 miles southwest of Wendell, ID at approximately 1205 Thousand Springs Grade, Wendell, ID. Hiking Distance and Time: There are several trails in the Ritter Island Area. The trail around the island is just under 1.5 mile round trip. There trail that runs upstream on the Snake River is a little over 1 mile one way. The Trail Map can be found here. Operating Seasons and Hours: Memorial Day Weekend 10:00 am until 3:00 pm and then Thursday through Monday until Labor Day weekend. 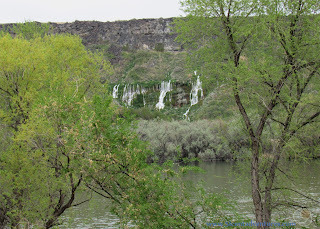 This section of Thousand Springs State Park was the fifth stop of the first day of the Idaho Road Trip my family went on in May of 2018. We left Balanced Rock and then drove north on Highway 30. We were heading to Hagerman, but we were pleasantly surprised to see the Ritter Island Unit of Thousand Springs State Park from Highway 30. Thousand Springs Area - This is a section of the Snake River Canyon where many natural springs burst out of different areas of the canyon wall. Ritter Island - And island ringed by the Snake River water on one side and run off from natural springs on the other. This was formerly the Thousand Springs Nature Preserve. Now it is part of Thousand Springs State Park. The name comes from a family that owned the island. Thousand Springs Nature Preserve - This was a section of the Thousand Springs Area that was purchased by the Nature Conservancy in 1986. It included Ritter Island and about 2 miles of land along the northeast bank of the Snake River Canyon. This area has several natural springs and is an important habitat for birds and other animals. In 2006 the land was donated to the State of Idaho and became the Ritter Island Unit of Thousand Springs State Park. 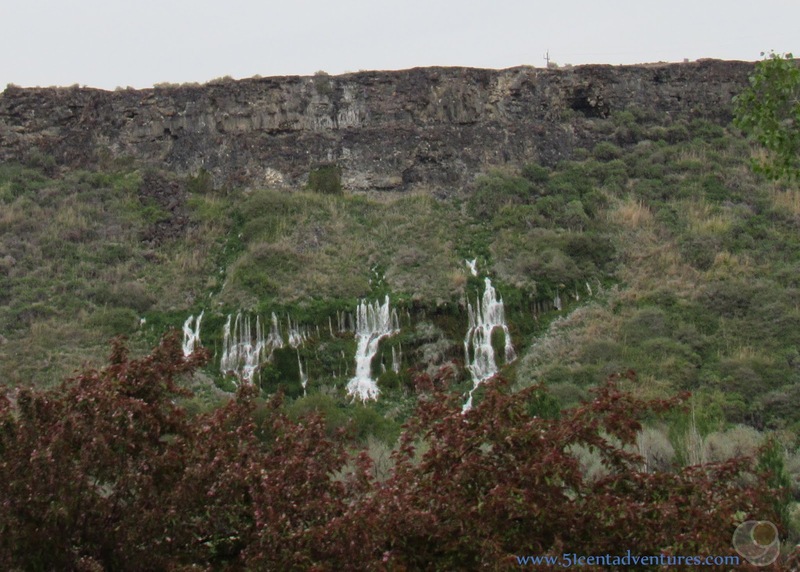 Thousand Springs State Park - This is an Idaho State Park that is made up of six different units (Malad Gorge, Kelton Trail, Earl M. Hardy Box Canyon Springs Nature Preserve, Billingsley Creek, Ritter Island, Niagara Springs/Crystal Springs). These units are not connected, but they are all within a short drive of each other. Park Headquarters are at the Malad Gorge unit. Thousand Springs State Park includes sections of the Thousand Springs Area. Minnie Miller Spring - the largest spring near Ritter Island. The spring is named after a businesswoman who owned the island in the 1920s and 30s and turned it into a dairy farm. Many of the structures on the island date back to Minnie Miller's time on the island. Feel free to refer back to these descriptions if you get confused while reading this post. Okay, full disclosure: We didn't actually visit the Ritter Island Unit of Thousand Springs State Park. We meant to, but then took a wrong turn and went to visit Balanced Rock. Brandon and I planned to back track and make our way back to Ritter Island, but we started running out of time. So I made the hard decision to skip Ritter Island, and just move on to our next stop which was the Hagerman Fossil Beds. I didn't know much about the landscape around this section of the Snake River. I assumed that it looked like other sections of the river we'd passed earlier in the day. I thought that both sides of the river canyon would be steep. Since we were now on the southwest side of the river and Ritter Island was on the northeast side I thought there would be no way to see the island. However as we drove north from Balanced Rock to Hangerman on Highway 30 I was surprised to see the river near the road. The other side of the river had steep cliffs, but our side of the river was flat. That meant we could see the cliffs even though we were on the opposite bank. At first we could see the waterfalls that are located at the southern end of the Ritter Island Unit of the State Park. As we drove further north we caught a glimpse of Minnie Miller Falls. You can also see Ritter Island itself in front of the springs. 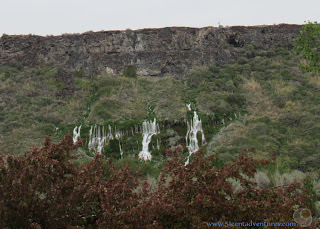 There are hundreds of springs of various sizes and outputs around the Twin Falls area of the Snake River Canyon. These springs are part of the Eastern Snake River Plain Aquifer. Water enters the aquifer to the east near Island Park and travels west through basalt rock under areas that include the Craters of the Moon National Monument. The water exits the rock in springs along the north side of the Snake River Canyon. Minnie Miller Springs is unique because it is one of two springs in the area that has unobstructed runoff. Most of the springs have water that is directed to power plants or fish hatcheries before being allowed to flow into the Snake River. The water from Minnie Miller Springs goes directly into the Snake River. These pictures were taken from the parking lot of the 1000 Springs Resort that is located across the river from Ritter Island. This resort has an indoor swimming pool, private hot tubs, and a kiddie pool. The resort also has tent, RV, and cabins for overnight accommodations. This is probably your best bet if you want to camp in the area. There are two houses on Ritter Island that you can reserve, but these are actual houses so the cost is close to $200.00 per night. The area looked very cool and I'm glad we got to view it from the opposite side of the river. I would love to go back and actually explore Ritter Island and the shores of the Snake River. Recommendation: I can't exactly recommend Ritter Island to you because I haven't actually been there. But from what I saw. the area looks like a delightful place for your next hike or bird watching excursion. Check it out and let me know what you think. Directions: We viewed Ritter Island from Highway 30. If you want to visit Ritter Island take Exit 155 off of I-15 at Wendell. Travel West on 2950 South/Hagerman Highway for 3 miles. Turn left (south) onto 1500 East and travel south for 2.5 miles. Turn right (west) onto 3200 South and drive on that for about another mile. Then make a left onto 1300 East followed by a quick right onto Thousand Springs Grade. This will take you down the canyon and to the island. Additional Information: For an excellent decription of how to enjoy the island from the water follow this link. 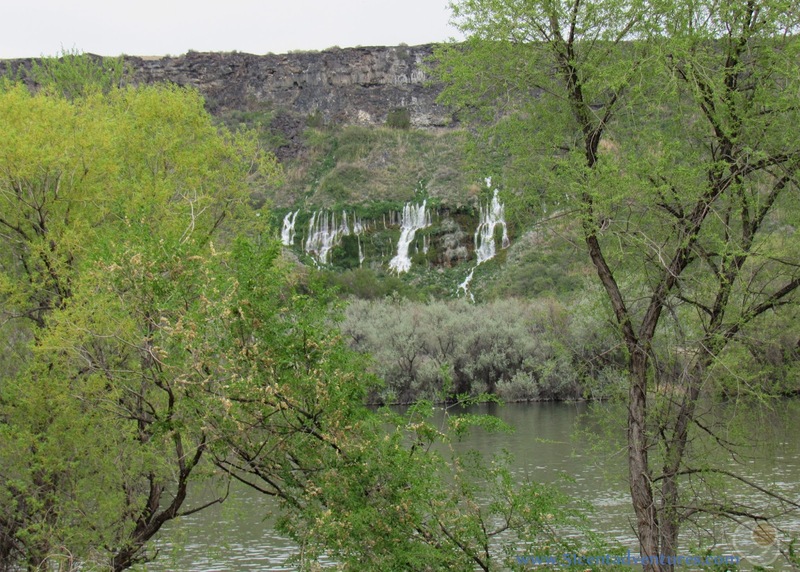 Places Nearby: Ideally, we would have visited each unit of Thousand Springs State Park on this road trip, but there were so many interesting things to do around Twin Falls that we didn't have time for all of Thousand Springs State Park on this trip. The Earl M. Hardy Box Canyon Springs Nature Preserve is located a little to the south of the Ritter Island Unit. Next Stop: Hagerman Fossil Beds National Monument and Visitor Center. Balanced Rocks are one of those cool, "how did they do that" geology features. 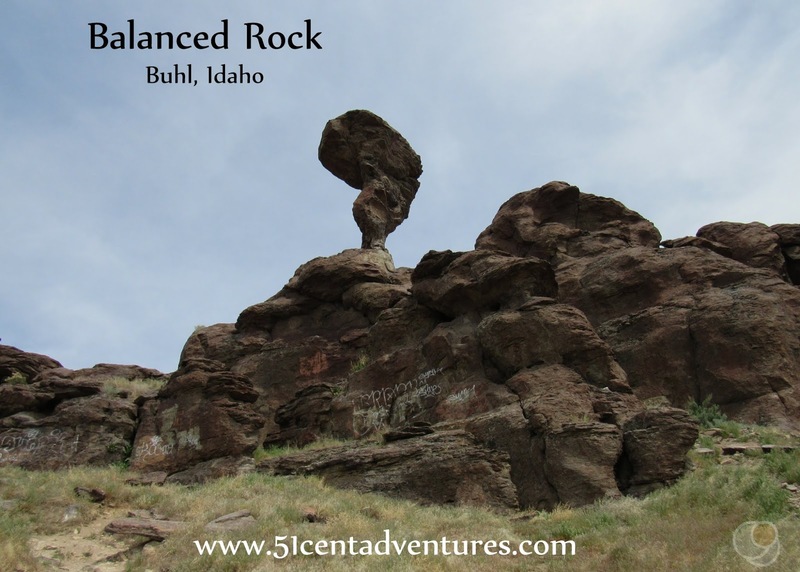 Idaho's Balanced Rock is over 48 feet tall and balances on a narrow neck of rock that is only 3 feet wide. The rock is made of Rhyolite Lava and was carved by wind. It stands near other rocks carved into twisted spires and pinnacles, though Balanced Rock is definitely the most unique feature in the area. Location: Southwest of Buhl, Idaho. 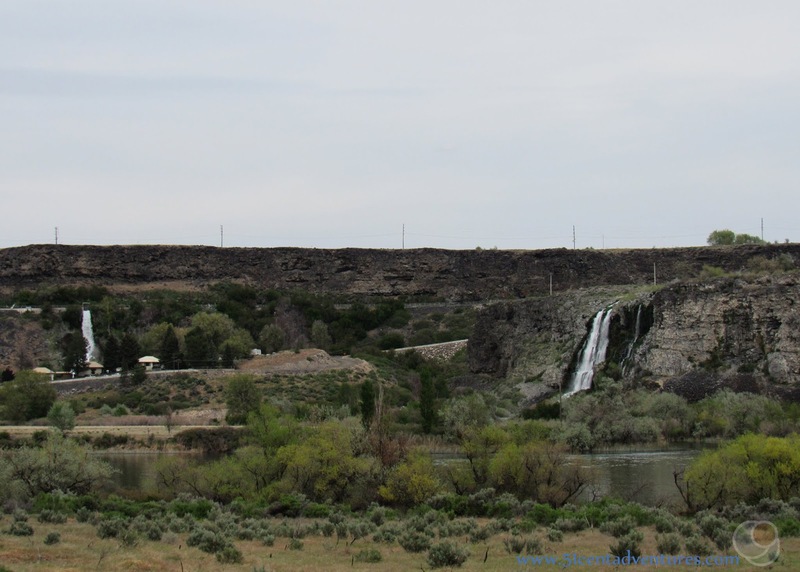 The rock is approximately 30 miles west of Twin Falls. Hiking Distance and Time: There is a steep and short trail that takes you close to Balanced Rock. I would say it's about 200 yards and would take about 15 minutes to hike up and back. Operating Seasons and Hours: Open all year long. Balanced Rock was the fourth stop of the first day of the Idaho Road Trip my family went on in May of 2018. We left Niagara Springs and then drove approximately 30 miles southwest to Balanced Rock. Most of the canyon walls of the Snake River Canyon look the way you'd expect canyon walls to look; rocky edges tumbling down to the river bottoms with a large river flowing below. But some parts of the canyon walls don't look like that at all. These parts of the canyon have water gushing out of the canyon wall. Niagara Springs is one of these places. Above the spring is a hill of lifeless rock. Below the spring is a lush green oasis made possible by the water that has made a nearly 100 mile journey through basalt. Location: Niagara Springs is located on the north canyon wall of the Snake River Canyon. It is about a 25 mile drive west of Twin Falls. It is 11 miles south of I-84 in Wendell. Niagara Springs is one of the units that make up Thousand Springs State Park. Hiking Distance and Time: Niagara Springs is next to the road inside the canyon. The parking lot is located within steps of the springs. Cost: Thousand Springs State Park has an entrance fee of $5, however, if you are just driving by the springs you do not need to pay the fee. The Niagara Springs Fish Hatchery is also near the springs and is free to visit. Operating Seasons and Hours: The springs are available every day all year long. Daylight hours are the best time to visit. The Niagara Springs Fish Hatchery is open to visitors every day from 7:00 am to 3:30 pm. Niagara Springs was third stop of the first day of the Idaho Road Trip my family went on in May of 2018. We left the Perrine Memorial Bridge and drove 20 miles northwest to Niagara Springs. Massive and impressive architecture isn't the first thing that comes to mind when you picture rural Idaho. 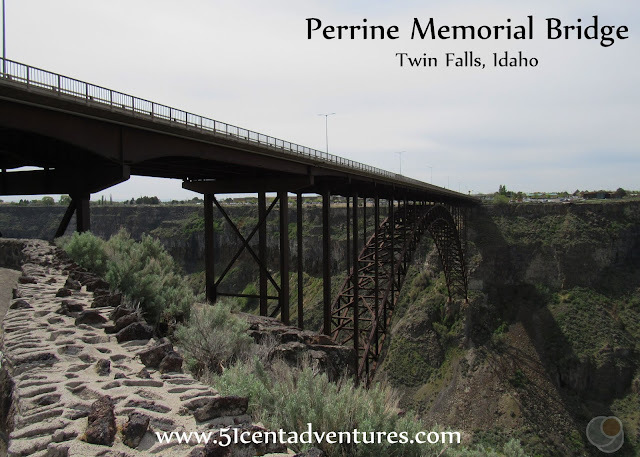 However, the Perrine Memorial Bridge outside of Twin Falls is a stunning example of large scale engineering. The towering truss arch is especially interesting when you consider the surrounding communities have few buildings taller than 3 stories high. The bridge is a vital connection for Twin Falls. It carries Highway 93 over the Snake River Canyon. It's also a great tourist destination. There are pedestrian walkways on the bridge as well as overlooks on the canyon edges on either side of the bridge. The sides of the bridge are popular locations for BASE jumping. Hiking Distance and Time: Plan for about 10 minutes if all you want to do is get out of your car and take a quick look at the bridge. However, you can make your visit last longer if you want to walk across the bridge or explore the canyon rim trail on the south side of the canyon. Cost: Free to visit. The Visitor Center on the South side of the bridge is also free. The Perrine Bridge was second stop of the first day of our Idaho Road Trip in May of 2018, We left Shoshone Falls Park and drove less than 5 miles into Twin Falls to find the bridge. For Americans, Niagara Falls is the ultimate waterfall. Every waterfall in the country is compared to this icon. 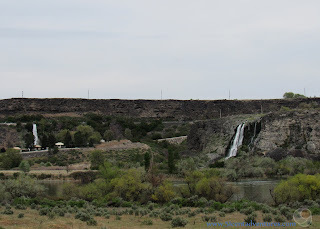 "The Niagara of the West" is found in Twin Falls, Idaho. This dramatic waterfall is actually higher than Niagara Falls by 45 feet. Operating Seasons and Hours: Open all year. Fees are charged from March 1st to the end of September. Peak flow on the waterfall can be seen from April to July. 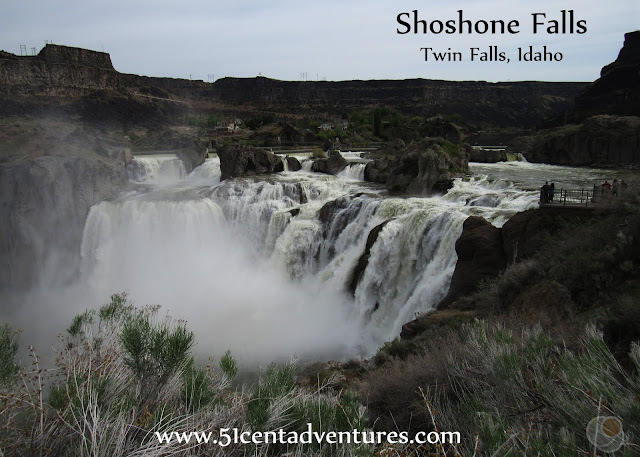 Shoshone Falls was first stop of the first day of our Idaho Road Trip in May of 2018, but we very well could have camped at City of Rocks National Reserve near Almo the night before, and then driven to Shoshone Falls in the morning. City of Rocks National Reserve is a strange collection of massive granite rocks in the southern part of Idaho near the border with Utah and Nevada. The scenery can be enjoyed by anyone of any skill level. There are a number of hikes ranging in distance throughout the reserve. The rocks themselves are popular with rock climbers. Location: City of Rocks is located near the border between Idaho, Utah, and Nevada. The nearest town is Almo. The nearest town you may have heard of is Burley which is 50 miles to the north. Cost: Entrance to the Reserve is Free. Camping is $12.72 a night with a $10.60 reservation fee. Reservations are highly recommended on weekends and during the summer months. Operating Seasons and Hours: The Reserve is open all year long. However the roads are gravel and may not be accessible during winter months. 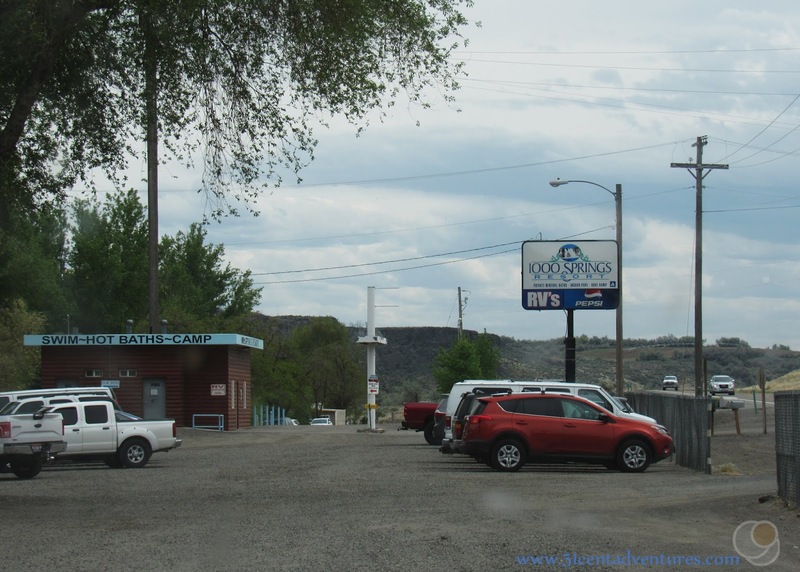 The Visitor Center is located in the town of Almo and is open every day from mid April to mid October and open Tuesday through Saturday from mid October through mid April. My family decided that our 2018 Road Trip should help us get acquainted with our new home state of Idaho. 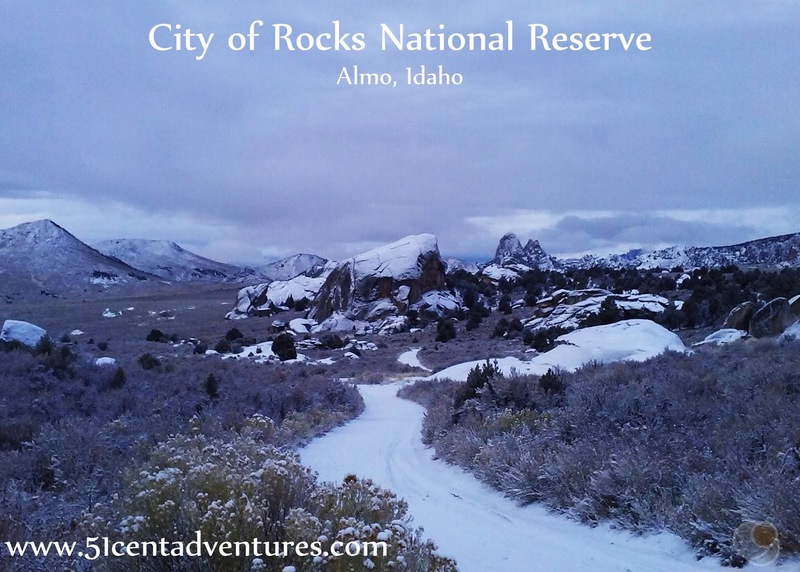 City of Rocks National Reserve would have been the first stop of the first day of our Idaho Road Trip, but we decided to check it out during Spring Break about a month and a half before the actual road trip. We very well could have made this the first stop after leaving Pocatello. and then continued on with the rest of the trip.